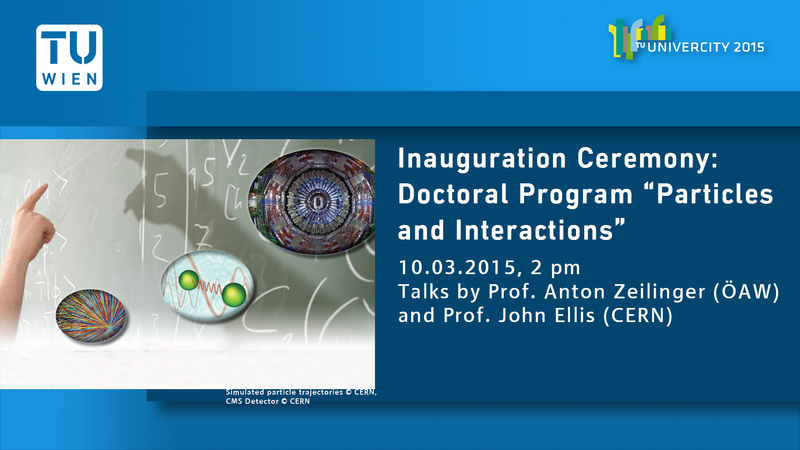 The official inauguration of the doctoral school is celebrated on March 10, 2015, 2 pm, in the Kuppelsaal, Karlsplatz 13, 1040 Wien, 4th floor. The application for the 10th Vienna Central European Seminar on Particle Physics and Quantum Field Theory is open. We cordially invite you to participate in the tenth “Vienna Central European Seminar on Particle Physics and Quantum Field Theory”, which will take place at the Faculty of Physics of the University of Vienna, Boltzmanngasse 5, A-1090 Vienna, from Friday November 28 to Saturday November 29, 2014. This year “Inflation and Cosmology” has been chosen as subject. By Daniel Grumiller|2015-02-18T13:19:42+00:00September 2nd, 2014|Uncategorized|Comments Off on The application for the 10th Vienna Central European Seminar on Particle Physics and Quantum Field Theory is open.